The collection of mangrove islands that dot the landscape of our area, also known as Estero Bay, are more than gnarled masses of roots. Each island within the Estero Bay habitat is unique and serves an important environmental purpose for our ecosystem. Out of a total of 120 islands in this area, 60 of them have official names. These named islands include: Davis Key, Little Davis Key, Charlie Key, Porpoise Key, Grassy Key, Sister Island, Monkey Joe Key, Coffee Can Cove, Battista Island, Black Island, and of course Lovers Key and Mound Key. What exactly is a key? In a geographical sense, a key is defined as a small flat island, especially one that is part of a group near the coast. It is thought that this term has been used for hundreds of years, as its origin can be traced to Spanish speaking conquistadors that first explored the area. It is believed that the word “key” is derived from the Spanish name for small islands. In relation to each key’s specific name, the origin of some of their names are still a mystery. The U.S. Navy established many of the names between 1836 and 1855 when the natives and Mexican, French, and Spanish tradesmen utilized our area as a major port. At the time, many locals and sailors were illiterate and it is thought that the names of the islands may have been misspelled or translated incorrectly. The original names of these little islands across Estero Bay came from the original settlers in the area that lived and worked on the keys. Because of laws at the time, many people established illegal settlements on these islands due to homestead regulations that could only be officially approved in Key West, located hundreds of miles away. According to an interview with the News Press in 2015, local historian David Southall, connects the dots in relation to the names of our keys and the names of our original residents. 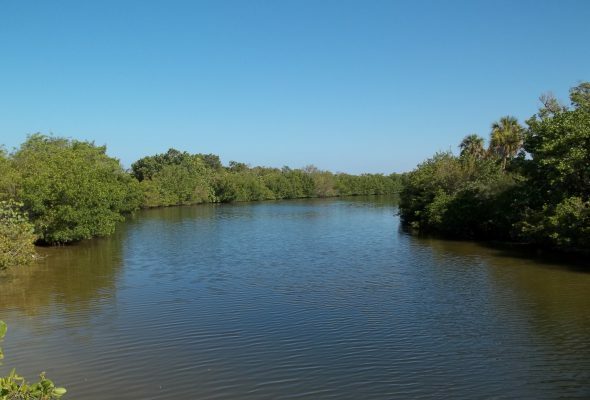 All of our tours will provide you with an experience that will allow you to explore many of the unique nooks and crannies of Estero Bay. Our guides will provide you with additional information and answer any questions you may have regarding our local landscape and lore. Sit back, relax, and enjoy our unique and timeless destination of Fort Myers Beach!